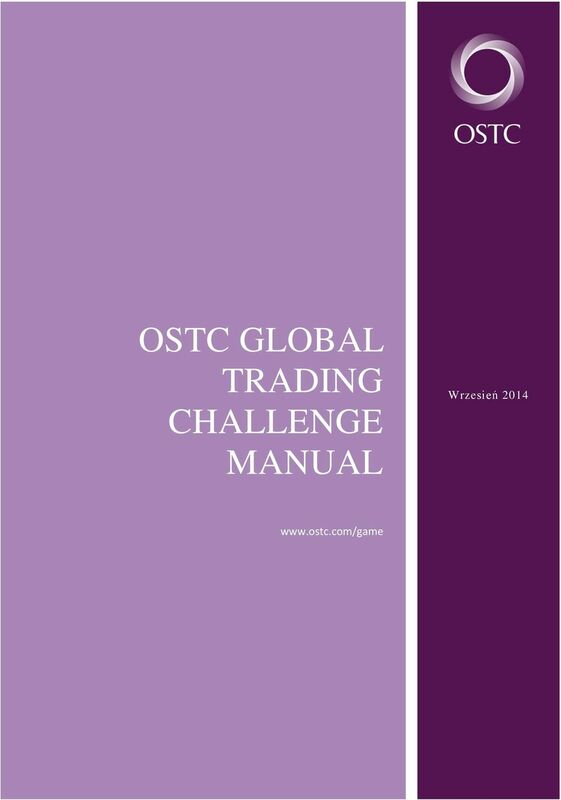 Download "OSTC GLOBAL TRADING CHALLENGE MANUAL"
3 Ryc 3: Strona Gry Tuż po zalogowaniu (w sytuacji, w której żadne zlecenia nie zostały jeszcze złożone) P&L, Fill Log, Working order oraz Favourites tables będą puste (Jak pokazano w załączniku nr 3). Tabela rynków wyświetla produkty, którymi można tradować. Składanie Zlecenia Ryc 4: Zaznaczanie wybranego rzędu Najeżdżając kursorem myszki na product w Tabeli Rynków, system podpowiada, aby klinkąć lewym przyciskiem w celu złożenia zlecenia, oraz prawym, aby uzyskać więcej opcji. Klikając lewym przyciskiem myszy na produkt, użytkownik zobaczy podone okienko: Ryc 5: Składanie Zlecenia (Market Order view) Tutaj można zdecydować, czy wybieramy Market czy Working order. 4 Składanie Zlecenia Rynkowego To place a market order the user should enter the Volume they want to buy into the Volume text box and click Buy or Sell. Please note that by the time the user has clicked Buy/Sell the price in the market may have changed from the price that was displayed when the user selected the product, the user will get the product price at the time that they click Buy/Sell. When the user has bought at market price the trade will show in the Fill Log. 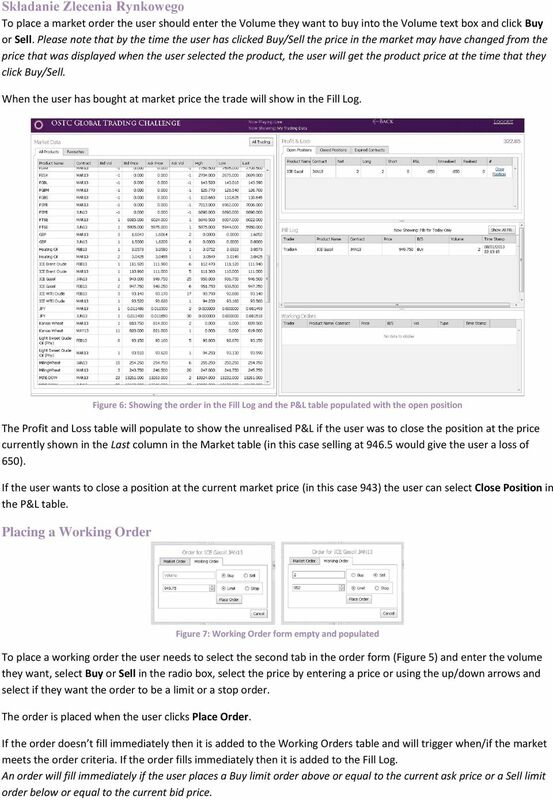 Figure 6: Showing the order in the Fill Log and the P&L table populated with the open position The Profit and Loss table will populate to show the unrealised P&L if the user was to close the position at the price currently shown in the Last column in the Market table (in this case selling at would give the user a loss of 650). If the user wants to close a position at the current market price (in this case 943) the user can select Close Position in the P&L table. Placing a Working Order Figure 7: Working Order form empty and populated To place a working order the user needs to select the second tab in the order form (Figure 5) and enter the volume they want, select Buy or Sell in the radio box, select the price by entering a price or using the up/down arrows and select if they want the order to be a limit or a stop order. The order is placed when the user clicks Place Order. 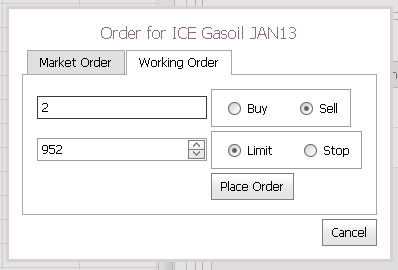 If the order doesn t fill immediately then it is added to the Working Orders table and will trigger when/if the market meets the order criteria. If the order fills immediately then it is added to the Fill Log. An order will fill immediately if the user places a Buy limit order above or equal to the current ask price or a Sell limit order below or equal to the current bid price. 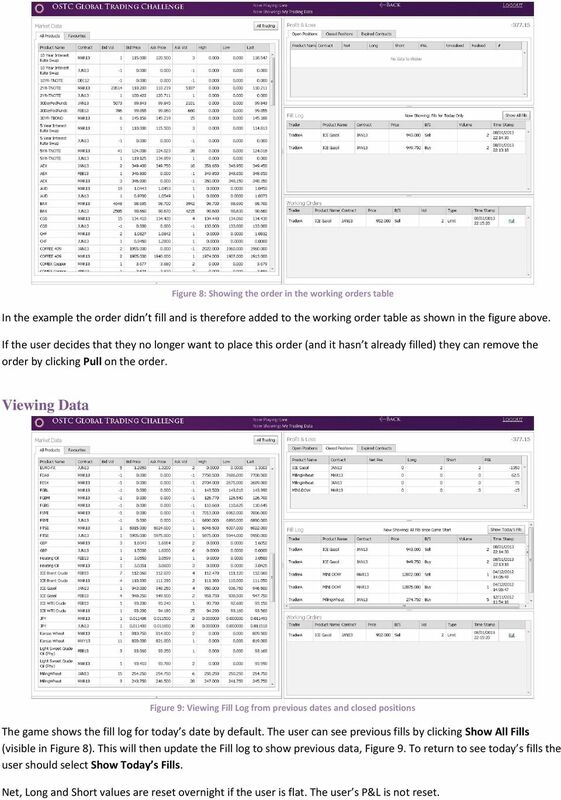 5 Figure 8: Showing the order in the working orders table In the example the order didn t fill and is therefore added to the working order table as shown in the figure above. If the user decides that they no longer want to place this order (and it hasn t already filled) they can remove the order by clicking Pull on the order. Viewing Data Figure 9: Viewing Fill Log from previous dates and closed positions The game shows the fill log for today s date by default. The user can see previous fills by clicking Show All Fills (visible in Figure 8). This will then update the Fill log to show previous data, Figure 9. To return to see today s fills the user should select Show Today s Fills. Net, Long and Short values are reset overnight if the user is flat. The user s P&L is not reset. 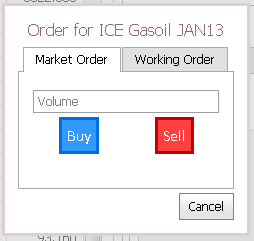 6 The P&L table is separated into 3 tabs, the open positions table can be seen in Figure 6 when the user has an open position, the closed positions table can be seen in the previous Figure which shows the user s closed position in ICE Gasoil after Selling at market price (943). 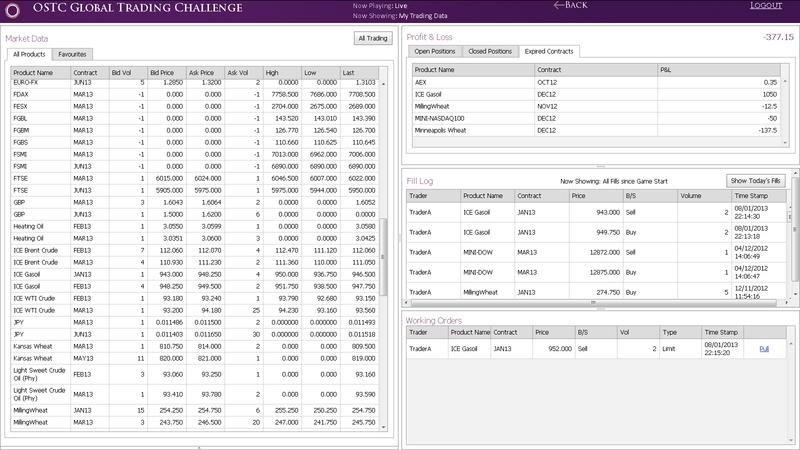 The P&L table also allows the user to see their P&L for expired contracts, see Figure 10. 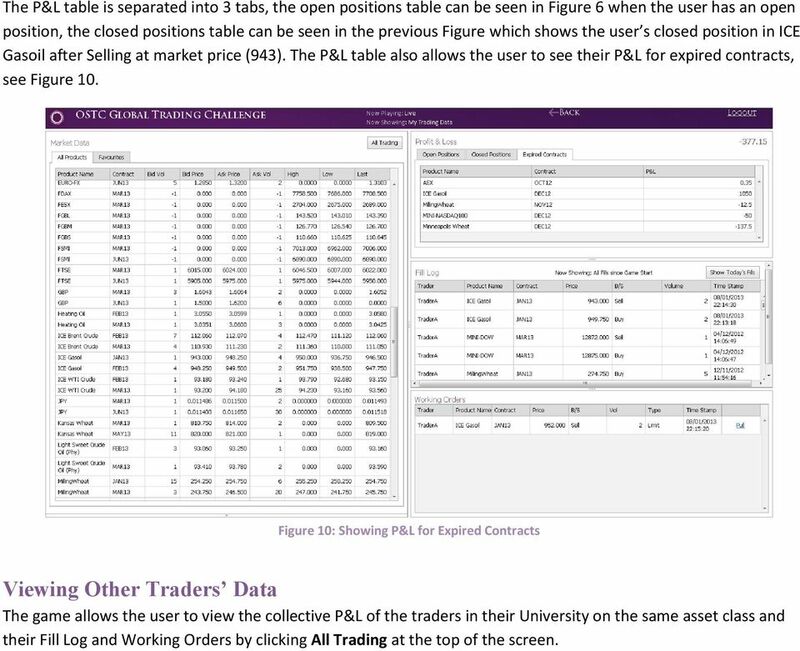 Figure 10: Showing P&L for Expired Contracts Viewing Other Traders Data The game allows the user to view the collective P&L of the traders in their University on the same asset class and their Fill Log and Working Orders by clicking All Trading at the top of the screen. 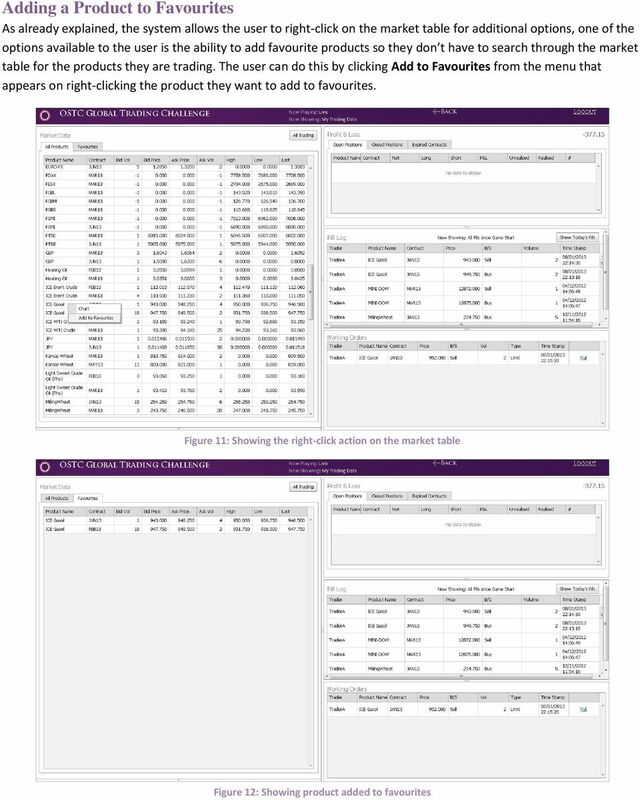 8 Showing Product Charts The user can select to Chart a product from the Favourites tab or the All Products tab. 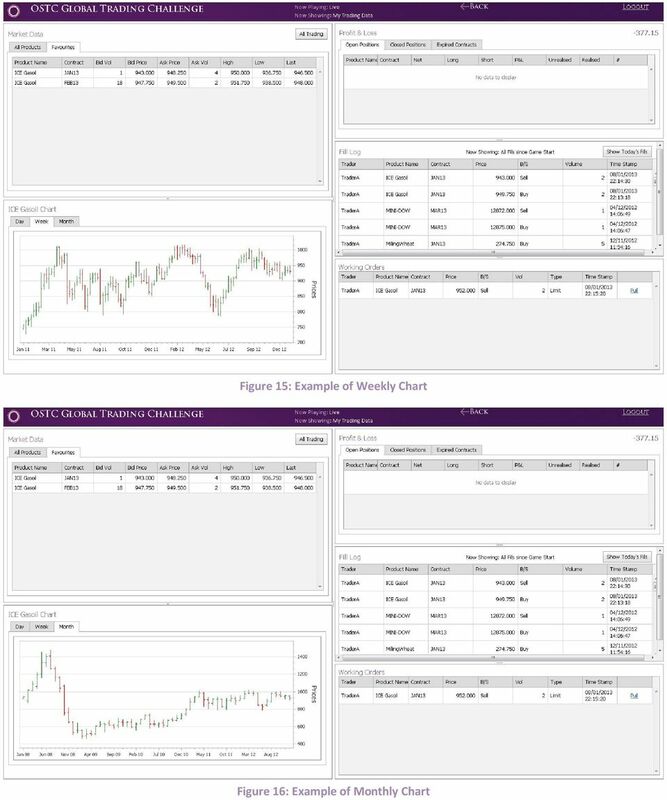 Figure 13: Selecting Chart from the Favourites tab After clicking Chart the user will see a page similar to the following: Figure 14: Showing the chart appearing below the market table The user can choose to view the Daily, Weekly or Monthly chart by selecting between the tabs. The Prices chart shows the High, Low, Open and Close. 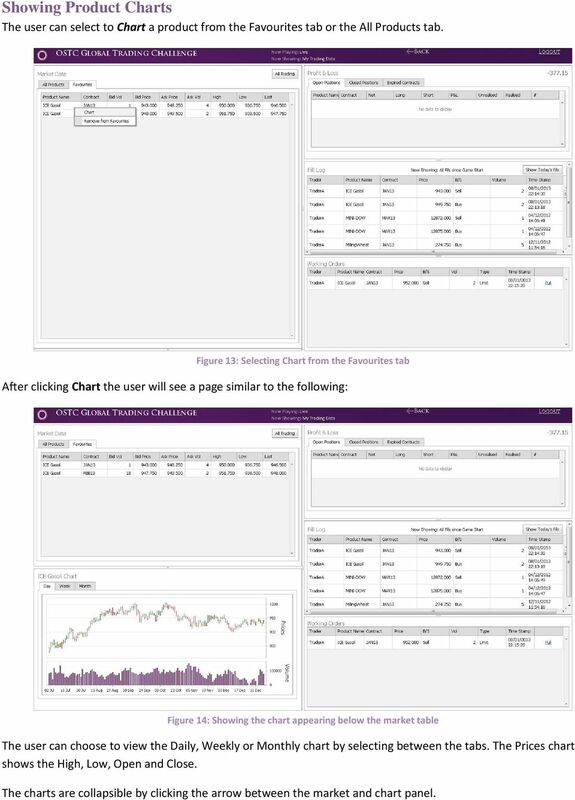 The charts are collapsible by clicking the arrow between the market and chart panel. W związku z wprowadzeniem nowego system do Państwa szkoły, firma Kuchnia z Klasą ustaliła nowy cennik. Proszę zwrócić uwagę na obniżki cen! Instrukcja użytkownika Portalu e-klient dla klientów MetLife TUnŻiR S.A. Web Client. LMAX rekomenduje używanie przeglądarki internetowej Chrome lub Firefox do handlu na platformie transakcyjnej LMAX Exchange. Instrukcja użytkownika. MetaTrader 4 Dla urządzeń mobilnych z systemem Android TM. Android TM jest znakiem handlowym zastrzeżonym przez Google, Inc.
Użyj tego działania portalu dostawcy do potwierdzenia nowego zamówienia ze zmianami ceny, daty dostawy lub ilości. Podręcznik do platformy MT4 web access Wstęp 1. Wstęp MT4 web access jest internetową platformą transakcyjną, która oferuje zaawansowane narzędzia do analizy wykresów oraz dane finansowe w czasie rzeczywistym.